In 1996 the library added the Fred and Irene Smart Community Room with generous donations from their trust and estate funds. 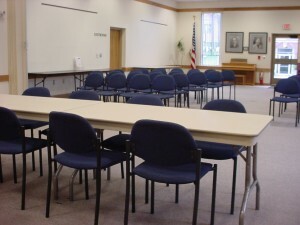 The room is available to the community during library hours and should be reserved ahead of time. There is a $10 fee for non-profit groups whose address resides in the Sidney School District and whose primary function is to serve the Sidney Community. Non-profit organizations that reside outside the Sidney School District will pay a fee of $20 for the Smart Community Room. For-profit organizations will pay a fee of $50 for the Smart Community Room. Payment must be made one week prior to the event. Final approval of the room reservation will occur upon receipt of payment. The library reserves the right to assess a custodial charge subject to the nature of the program. Groups can reserve the room no more than twice per month. 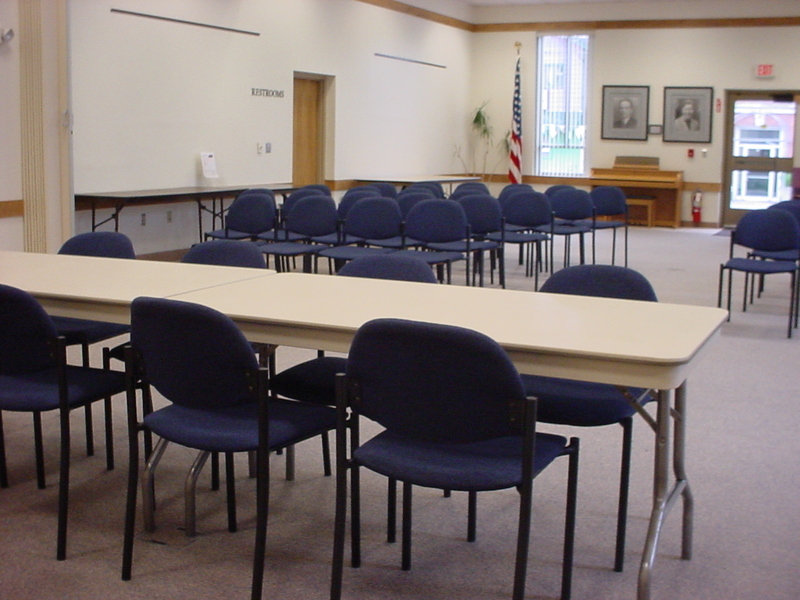 The meeting areas are available during library-staffed hours unless special arrangements are made. Meetings and setup for meetings can begin no earlier than one half hour before library opens. Meetings should end fifteen minutes before the library closes unless special arrangements are made. Mon. to Thurs. 9 a.m. - 8:30 p.m.
Click Here for the full Community Room Reservation Policy (updated September 2016). Please be sure to read it thoroughly.